Decorate a bare wall in your home with the Alexandra Wall Mirror. 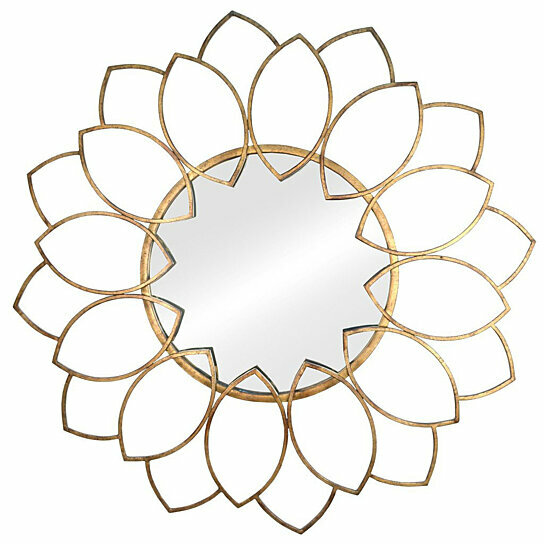 Made from solid metal with a distressed gold finish, this round petal mirror is simple yet striking. Display it among pieces of contemporary decor for a chic look. Care instructions: Wipe clean with damp cloth.